Posted on 05-29-18 at 3:09 p.m. In late 2017 and early 2018, Apple was hit with public accusations of building obsolescence into its older smartphones to encourage consumers to upgrade to its newest models. Apple's accusers claimed that the latest versions of Apple's operating system were slowing down the older devices. Apple admitted to doing this but justified the practice as a way to preserve the batteries and extend the life of older devices. Apple is currently the subject of a number of complaints around the world, accusing the company of using planned obsolescence. This particular public relations storm should remind consumers that many products on the market probably incorporate built-in obsolescence to stimulate sales. From lightbulbs to cars, from domestic appliances to inkjet printers, we can't help but question the durability of manufactured products these days. 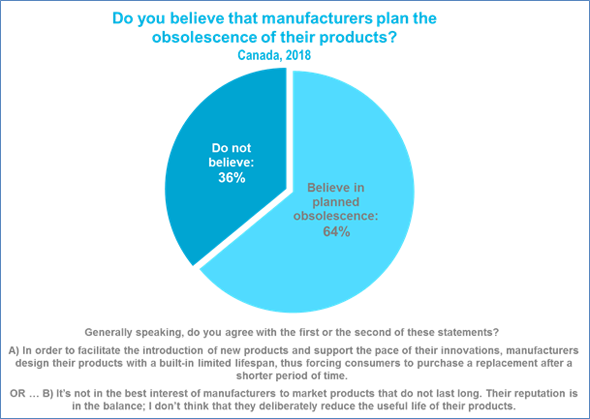 To our great surprise, almost two out of three Canadians (64%) believe that manufacturers plan the obsolescence of their products in order to stimulate sales of their new upgraded models. I consider this an enormous proportion - and an indication of a lack of trust, to say the least! Moreover, this proportion is relatively consistent across all the subgroups we analyzed, apart from a few exceptions with not very large variances. This indicates that there is almost consensus around this issue. Note that 25-34 year olds and technicians are the most critical of this practice, with 71% and 73% respectively in agreement with our first statement. 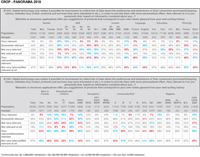 But overall, the differences on all the analyzed criteria stand at around 3% (68% in Quebec vs. 63% in English Canada in agreement with statement A). When two thirds of the population agree with a proposition, it is difficult to identify what distinguishes them from the rest of the population (since almost everyone is on board with the first statement!). Thus, in terms of values and hut buttons, it is difficult to determine what motivates their attitude. 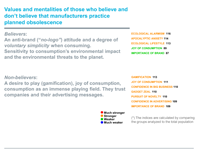 Nevertheless, we find it interesting that people who believe that manufacturers are using planned obsolescence are distinguished by a high degree of defeatism about the future of the planet, especially in ecological terms. They view consumption as a source of unnecessary gratification with a detrimental impact on the environment. They are very mistrustful of brands, accusing them of creating non-essential needs. By contrast, those who do not believe that manufacturers are using planned obsolescence are the most enthusiastic about consumption. They see it as a kind of playing field. For them, they find buying something, no matter what it is, particularly pleasurable and stimulating. They trust brands, the companies behind them and their advertising messages. They want to believe in brand promises and enjoy the gratifying experiences that brands offer them. It's as if their consumption enjoyment is blocking their critical faculties! The paradox of consumers' attitude toward planned obsolescence is this: a large majority believe it, but the joy of consumption has grown so much in recent years that people prefer not to think about it. In one of my previous posts, I examined the consumption-as-personal-gratification trend, one that continues to rise in 2018. Planned obsolescence notwithstanding, we increasingly want to enjoy the rewarding experiences we get from consumption. This in turn drives the economy, creates jobs and fills government coffers. Consumption fuels the economy and people derive great satisfaction from it. And, because it is ephemeral, it must be constantly renewed. Whether this is a vicious or virtuous circle depends entirely on your point of view. We can certainly decry the waste of resources and the impact on the planet caused by our consumption patterns but, given the ever-growing enthusiasm for consumption, neither our awareness of planned obsolescence nor our ecological conscience is likely to slow this trend. We can only hope that manufacturers incorporate more socially and environmentally responsible business and manufacturing practices over time. One way to view planned obsolescence is as an act of betrayal on the part of manufacturers. For my operatic pick of the week, it was easy to find examples of betrayal. Operas are packed with them! One of the most poignant tales of betrayal and the inspiration for some of the most spectacular lyrical flights is Madama Butterfly by Giacomo Puccini. It is a horrifying story based on real events (although the original protagonist was French not American.) In the opera, a young American naval officer on layover in Japan marries on an exotic whim a 15-year-old Japanese girl named Cio-Cio-San, gets her pregnant, disappears for three years and returns with his new American wife to take his child home to the United States. Faced with such betrayal, Cio-Cio-San, known as Madame Butterfly, commits suicide. In this musical clip, "Un bel di, vedremo," one of opera's most beautiful arias, Cio-Cio-San imagines the long-awaited return of her husband. Giacomo Puccini: Madama Butterfly, Giordani, Racette, Fedderly, Zifchak, Croft, The Metropolitan Opera Orchestra, Chorus and Ballet, Sony Classical, New York, 2009. Posted on 05-15-18 at 3:38 p.m. The recent public outcry surrounding Cambridge Analytica and its use of massive amounts of personal data culled from Facebook triggered a global awareness of the unsuspected power of databases - especially the amount of data that is being collected and stored about every single one of us. Public comments followed on the appropriateness of collecting so much information and the ethical guidelines that should govern these practices. Despite the brutal awakening for some and the knee-jerk reaction by others to curb the practice, data collection is not about to stop. Regardless of the eventual regulations imposed, the collection of personal data is bound to accelerate exponentially in the coming years. People leave a trail with every purchase, every web search. Soon, many of their appliances will also transmit data about their usage (The Internet of Things). Database servers are fed continuous digital streams of data about our individual transactions and web behaviour. The infrastructure is in place. It works perfectly and nothing is going to stop it. For the time being, in Western democracies, data is being collected primarily about consumption. Companies are targeting their customers to better understand them and ultimately offer them appropriately customized offers. (There is no doubt that people in their role as citizens won't be far behind!). These practices derive their legitimacy from personalization: data is collected on your preferences in order to present you with relevant offers and content perfectly matched to your lifestyle. Relevance is the key; it is the "cement" of engagement. Digital technology now makes it possible for businesses to collect lots of data about the preferences and behaviours of their consumers (purchase/shopping history, websites they visited, products and services they were interested in etc. ), in order to provide them with more personalized offers. To our surprise, this question radically divided the Canadian population almost into two equal halves. Just over one in two people in the country (53%) consider it "relevant" to have data collected about them for personalized offers, while slightly fewer (47%) see no relevance there and tend to oppose it. The social divide is most acute by age group. 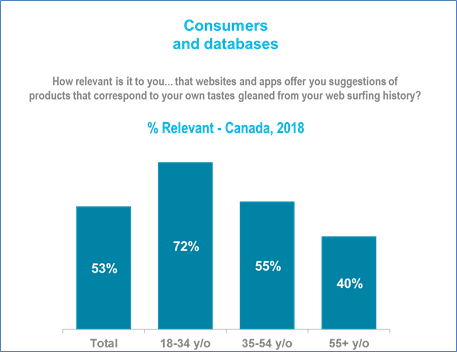 While 53% overall consider it relevant to have data collected on them so they get personalized offers, this proportion rises to 79% among 18-24 year olds! It falls to 67% among 25-34 year olds, and declines in linear fashion to 39% among people aged 65 and over. Young people are more consumption-oriented and therefore eager to share their data to enhance their consumption experience. What's more, the depth of young people's enthusiasm compared to their elders signals a major generational gap with respect to the sharing of personal data with third parties. The ethical issues surrounding the dissemination of this data seem to be of little concern to the younger generations but of great concern to older people. People in Eastern Canada are more "wary" about this kind of data sharing. There is a "relevance rate" of 46% in the Maritimes, 48% in Quebec and 55% in the rest of the country (for a national average of 53%). Our analysis of the values and hot buttons of the consumers in favour and against the collection of personal data highlights the social divide on this practice. Among those most in favour, where we find a majority of young people (under 44), the cocktail of motivations is very broad. They strongly believe in the promise of personalization, which also exercises a remarkable symbolic function: anticipation. They believe and hope that the relevance of the content and offers they receive will give them access to the very best on the market, while also bringing out the very best in themselves through the stimulation the process provides. Self-improvement, a creativity boost, access to the best products/services and innovations, the pride of being early adopters, etc. : anything goes in terms of motivations and expressed needs. The opportunities are immense for the companies and brands able to position their content strategy on customization. The above-list of hot buttons and values that companies and brands can respond to provides only a glimpse of what these personalization aficionados expect. Conversely, the other half of the population who do not believe in the relevance of collecting their personal data probably see it as a manifestation of George Orwell's "Big Brother" (1984). They are watching us. They are spying on us. They are trying to sell us stuff that we don't really need and deliver messages that may be contrary to our interests, etc. They are very critical of companies, holding them responsible for today's climate of uncertainty in which they are struggling to adapt. They are keen to maintain their freedom and control over their lives, and believe that third parties might be able to control them through the use of their personal data (Hollywood sci-fi movies probably serve to enflame some people's imaginations). They also subscribe to a form of voluntary simplicity and anti-consumerism (No Logo). Their opposition is ideological and philosophical. Personalization is here to stay, even as it infiltrates more and more areas of our lives. (CROP is also investing heavily in it by transforming its practices and business model.) What will give it momentum, what will ensure people embrace it, is its relevance. In our daily lives, we are constantly bombarded with mass messages that may have little relevance to us. The relevance of the content offered by personalization will be the key to its spread and its acceptance. The challenge for companies and organizations is to ensure this relevance. But to do this, they need intimate knowledge about individuals; hence, the collection of personal data. Even the personal data of the most resistant people. Because they tend to be very sensitive to the issue of environmental protection in particular, sending them relevant content on this issue might make them more receptive to personalization! One of the most famous "Big Brothers" in opera (and literary) history is Mephistopheles from Gounod's opera, Faust (and from Goethe's play by the same name). Mephistopheles is the devil incarnate, who makes pacts with his victims to control them (while constantly spying on them). Charles Gounod: Faust - Jonas Kaufmann, René Pape, Marina Poplavskaya, Orchestra & Chorus of The Metropolitan Opera, Yannick Nézet-Séguin, New York, 2014. Posted on 05-01-18 at 3:10 p.m.
Every year, CROP conducts an extensive survey of the values and hot buttons of Canadian consumers and citizens (our Panorama program). 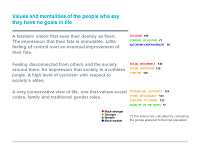 In the midst of our analysis of the results of our 2018 edition, a social phenomenon, as sad as it is disturbing, caught our attention: nearly one in three people in the country admit to having no goals or purpose in their lives! The statement used to study this phenomenon is itself troubling and moving. We ask people if they agree that ... "Generally speaking, I feel that I don't really have any goals in life." To such a question, 30% of Canadians say they agree (with no significant regional variations from one coast to the other): 6% totally agree, 24% somewhat agree. Even being somewhat in agreement with such a statement is deeply depressing! What is even more disturbing is how this indicator has evolved. Over almost 15 years, the number of people in the country who feel they have no purpose in life has almost doubled! From 2004 to 2018, the percentage of people in agreement with the statement in question rose in a disquietingly linear way from 16% to 30%. I constantly repeat in my posts that for some of us, life, society and the world around us are changing too fast, and that not everyone can keep up. Our new results unfortunately confirm this trend. A growing social divide continues to widen year after year between those who find our era stimulating and a full of opportunity, and those who feel increasingly out of place, excluded and cast aside. This feeling of exclusion can take many forms. Aimlessness - an inability to find a mission, a calling or goals - is one result of having trouble coping with the times. The social divide is most pronounced among younger people. 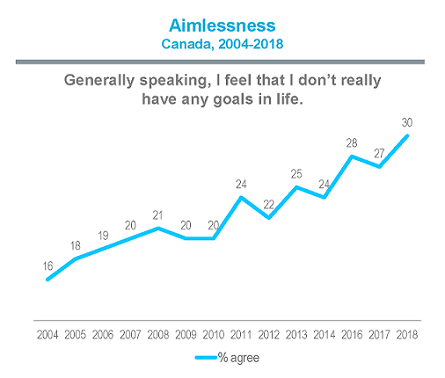 While 30% of Canadians tell us they don't really have any goals in life, this percentage rises to 40% of people under 35. We tend to believe that Millennials are changing the world. However, we need to recognize they do not all feel that way, nor do they all have the same feeling of control. Two out of five feel aimless, unable to find meaning in their lives in today's world. People at the lower end of the wage and education scale also contribute enormously to the numbers who feel that life is futile. Agreement with the above statement is 40% for people whose family income is less than $40,000 a year, falling to 25% when family income is $60,000 or more. The same obtains for education, where agreement with the statement drops from 36% of those who only completed high school to 24% of the university-educated. Although socio-economic conditions clearly play a part in this feeling of aimlessness, they do not explain the entire phenomenon. Even among the wealthiest and best educated, we still find that one in four say they have no purpose, no goals. This is not insignificant. This type of aimlessness is reflects mindsets that are quite paralyzing for these individuals. They subscribe to a very fatalistic view of life, believing that their fate is set and following its course; that everyone has a designated place. They have the impression that their lot in life is immutable and feel that they have very little control over their ability to eventually improve it; that their destiny is controlled by societal forces over which they are powerless. They also feel disconnected from others and from the society around them. Nothing much connects them to the life they are forced to participate in. They believe that society is a ruthless jungle, that the rich and powerful benefit from all of the era's opportunities and that there is nothing left for them. They are very cynical about society's elites. Projects of social inclusion or a relentless divide? We can only hope that social-inclusion projects will be created to enable more citizens to benefit from the opportunities of today's world. Community initiatives can make a difference by integrating people, giving them a place in society, helping them find a purpose or goals. Our hope is that such initiatives proliferate. It is more crucial than ever that governments, institutions and businesses recognize the situation and commit to alleviating the problem through their policies of social responsibility. Some initiatives are already underway but, given the trend, more needs to be done. Much more. Otherwise the social divide will widen, encouraging the rise of the far right and the populist movements we see growing in many democracies around the world. Is a Canadian Trump on the horizon? Winterreise (Winter Journey), a song cycle for voice and piano, is a metaphor for aimless wandering. The story is about heartbreak that leads to wandering. The grief-stricken protagonist takes flight after being betrayed by his beloved. But, very quickly, the work's tragic beauty transcends its sentimental despondency, which is represented by a long journey that leads to nothingness, to wretchedness for all those who have lost the meaning of life. The musical clip, "Gute Nacht" (good night), begins the journey (night), when the protagonist takes leave of his beloved. A magnificent production for the 2014 Aix-en-Provence Festival. Franz Schubert: Winterreise – Matthias Goerne (baritone), Markus Hinterhauser (piano), William Kentridge (visualisation), Festival d’Aix-en-Provence, 2014. Posted on 04-17-18 at 4:05 p.m. Subsequent to the preliminary analyses of the results of our last annual survey of the values of Canadian consumers and citizens (our Panorama program), our first reflex was to take a closer look at our "Me Too" question. We could have polled this issue earlier, but we wanted to measure this phenomenon in a context in which we knew the values of the respondents in order to clarify our analysis via the motivations and hot buttons informing people's attitudes. The question we used contrasted the current widespread aversion for the inappropriate behaviour of certain men with their defence by Catherine Deneuve and a collective of more than 100 other women in the Journal Le Monde in January, who maintained that men's freedom to hit on women is indispensable to sexual freedom! Although Deneuve issued an apology afterwards, she nonetheless stirred up the waters and her collective has not totally disappeared. At the time, I thought Deneuve's stand took a lot of courage and, at CROP, we wondered how many Canadians shared her point of view. One in five Canadians - which is not negligible - is of the opinion that men should be allowed to hit on women. (We must however make a distinction between clumsy seduction/flirting and sexual misconduct.) Even at a regional level, the differences are slight. There are fewer fans of this view in Quebec than in the rest of the country, but the difference is only 4 points (18% in Quebec compared to 22% for the Rest of Canada). Only in Alberta does the freedom to hit on women garner a little more support, at 26%. In addition, age groups also have a different take on this issue. Twenty-five percent (25%) of people 25 to 44 years of age support this freedom (testosterone: what do you expect!). Such support drops to 15% among people 65 and older, another 10-point difference. Note, too, that 27% of blue-collar workers support this freedom to hit on women. Apart from these few variances, few socio-economic or sociodemographic groups or segments differ significantly on this question. Again, this tolerant attitude towards sexual harassment is fundamentally a social phenomenon. Despite all the modern sociocultural progress, the last vestiges of traditional society, legitimized by neo-conservative attitudes (which are also on the rise in our society), refuse to let go. It goes without saying that support for this freedom to hit on women is motivated by very conservative values and hot buttons. But the cocktail of motivations is still impressive! The primary characteristic of these "supporters" is their support for patriarchal authority. They are strongly over-represented by people who believe that the "father of a family must be master in his own house," that "men have a certain natural superiority over women, and nothing can change this," that "an extramarital affair from time to time is not that serious," etc. In short, an extremely traditional view of society and of the predefined roles for men and women in it. Moreover, these "supporters" systematically refuse the sociocultural modernity of today's world. They see society as a ruthless jungle (a Darwinist view of society), in which no one can be trusted any longer, where elites are corrupt and only look after their own interests (a high level of cynicism). What is striking, too, is their trouble managing in today's world. Again, as is the case for many of the phenomena that I have been analyzing in my blog, society is changing too fast for them; they feel left behind, disconnected from the people and society around them. For the most part, they have few or no goals in life, perceiving them as futile. Fatalistic, marginalized by society and life today, they feel they have little hope of regaining their former dignity. This social disconnectedness leads them to be very nostalgic for an ideal world that is more directed and codified, with more clearly defined social roles, one in which they would feel comfortable. They idealize this vanished world while attempting to hold on to a few of its fading remnants. Thus, a feeling of being rejected by society, retrenchment in a hyper-traditional view of gender roles and a view of the superiority of men over women all legitimize the right to hit on women. For these people, women have an inferior status, so it is "normal" for men to act this way. The pace of change in today's world will inevitably generate this kind of neo-conservative backlash. We should be happy that the numbers aren't higher. Finally, there is very little difference between the profile of the men and the women who support this type of freedom, although men are stronger on the values and hot buttons discussed above. It is difficult to predict the medium-term evolution of such views. The social consensus around the sexual misconduct of certain men certainly suggests that there is something irreversible in this movement. But we are also clearly witnessing a surprising rise in neo-conservative values, particularly those that support this freedom to hit on women. Once again, a movement that is being expressed by the individuals for whom society is changing too fast. What will the outcome of these positions be? In public, people will probably be circumspect but in private, in their "mindsets," surprising tangents could make headway. Only the future will tell! Tosca is undoubtedly one of the world's most beautiful operas. In a famous scene, the diva, Tosca, encounters the chief of police, who accuses Tosca's lover of taking part in the rebellion against the regime and sentences him to death. In response to Tosca's pleas, the police chief offers to release her lover if she gives himself to him for one night. An unexpected consequence awaits the officer! A wonderful, historic excerpt starring Maria Callas and Tito Gobbi, at Covent Garden in London in February 1964. Maria Callas in Concert, Warner Classics, Parlaphone Records Limited, 2017. Posted on 04-04-18 at 3:28 p.m. This question continues to haunt observers of the retail scene. In recent years, many familiar retail banners have disappeared, while online shopping has grown by leaps and bounds from one year to the next. One can only wonder what the future holds for us on this front. Nonetheless, when we survey people about their preferences, we find it very interesting that, despite everything, the vast majority of consumers still prefer to shop in-store! Even when we offered them the choice of using the store to get a better feel for a product, then ordering exactly what they want online and having it delivered to their home, the full in-store experience is by far the most preferred. This certainly suggests that storefront merchants still have potential! 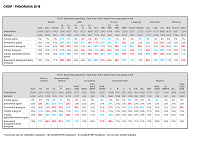 It is also interesting to note that these results are relatively constant across almost all subgroups of society, starting with the regions and provinces (no significant difference in Quebec or in the other provinces). On the other hand, big age-related differences show up. Young people under 35 are by far the most enthusiastic online shoppers. While 19% of consumers overall prefer this mode of shopping, this proportion hits 30% among Millennials. 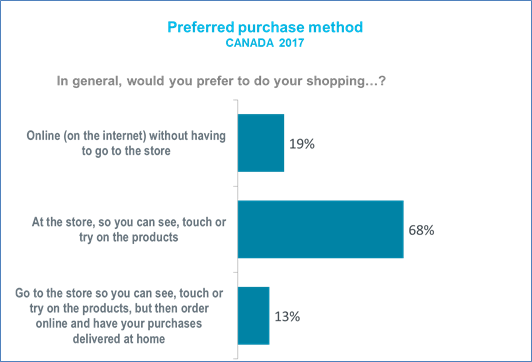 However, a majority still prefer to shop in-store (55% of those under 35 years of age and 68% of the general Canadian population). Note that the proportion of consumers preferring in-store shopping rises to 80% for those aged 55 and over. Consequently, if we project this data into the future, when the younger generations will become increasingly dominant in consumer markets, and factor in the continuous rise in online stores, we can be fairly certain that online shopping will rise significantly in the coming years. Even though we find a clear preference for in-store shopping, the proliferation of online stores is significantly eroding the market share and sales of traditional brick-and-mortar stores. In many cases, their very survival is at stake and the downward trend will only continue. More closures and exits from the marketplace can be expected. In light of all this, retail businesses have no choice but transform their business models and the customer experience. Otherwise, they will perish. The status quo is no longer an option. However, not everyone will go out of business. The success of their transformation will depend on how well they are able to incorporate into their storefront operations the lessons learned thus far from e-commerce and technology. First, it is clear that merchants today must have an online distribution channel. Even for consumers who prefer to shop in physical stores, e-commerce is a necessity for reasons of convenience, speed, product availability and sometimes price. The winning in-store combination will be the one offering an optimal mix of approaches combining high touch, where we can see, touch and try on products, AND technological interfaces that enrich the customer experience. This will help boost customer loyalty and the value of the brand. There are many tech options available today that can enrich the in-store experience. Virtual shelves using tablets (iPad, Galaxy, etc.) can showcase an entire product line, along with complete information about each one. Real-time access to product reviews can help consumers make informed choices based on their purchase criteria, and so on. The possibilities are becoming more and more numerous and affordable. Merchants need to adjust to the "journey" that customers are now taking before they make their final purchasing decision (web research, product comparisons, need considerations, etc.). Fortunately, they have an opportunity to facilitate this journey in-store. Of all the tech possibility, the most promising for retail businesses is undoubtedly personalization (an area in which CROP is active, if you will forgive the plug!) This relatively new discipline lets merchants provide a unique experience, perfectly customized to each customer's individual needs by offering, in real time, a personalized assortment of products, promotions, experiences, loyalty rewards and content. Such a high degree of personalization involves compiling and processing a vast amount of information on transactions, web behavior, customer needs and expectations (by electronic means). Imagine entering a store and being recognized through geolocation. As soon as you arrive, the store would send you, on your smartphone, offers of products that perfectly match your needs, tastes and preferences, along with discounts to ensure your loyalty! This is not science fiction. It is already available today and will become more widespread in the years to come. Storefronts will undoubtedly continue to exist. The findings from our simple survey question clearly demonstrate that the need for stores is there, but they will need to transform themselves in order to respond to new customer expectations. It will take detailed knowledge of these needs and expectations, along with an appropriate and personalized response, to ensure success. Data science will be increasingly used to get this right. There has been a lot of talk about the new Amazon Go store in Seattle that lets customers shop and leave without paying, and praise for the convenience of this innovative service (customers' smartphones record their purchases). It is curious, however, that there has been little mention of the tremendous opportunity for Amazon to accumulate data on the shopping habits of its customers in order to offer them a personalized selection of products and content. All merchants can now avail themselves of such tools, because they have become much more affordable than they were even a short time ago. They are no longer the sole preserve of giants like Amazon. My musical clip of the week comes from Rossini's opera, The Barber of Seville. Having to change in order to seize new market opportunities is nothing new. A good example of this kind of transformation is the history of the barber in the Middle Ages. At first, the barber's only function was shaving. He then added barber-wigmaker to his repertoire, exercising his talent only on princely heads (a forerunner to today's hairdresser), and later the expertise of barber-surgeon, handling small surgical procedures (teeth pulling, mainly, a precursor to modern dentistry). In this production by the Metropolitan Opera, Figaro demonstrates his professional transformation, in addition to adding an itinerant service! Gioachino Rossini: Il Barbiere di Siviglia, Leonard, Brownlee, Maltman, Muraro, Burchuladze, Mariotti, The Metropolitan Opera, New York City, November 22, 2014 (streaming).